NEOBOARDS - I'm sure you've all heard of avatars. You haven't? Well, avatars are the neato little pictures that appear under your username every time you post a message on the Neopets chat board. Every user automatically gets fifty-one avatars as default, but there are loads of secret ones that are available for people to find and collect. A lot of users have made it their ultimate Neopets goal to hunt for and collect every possible secret avatar. The Neopets team even made a trophy specifically for the users who have found the most secret avatars! Isn't that crazy? So now that you know what avatars are and how cool they are, I'm going to send you mixed messages and explain why they aren't very cool or special anymore. Secret avatars used to be the talk of the town. They were new, hip, and totally cool. Now, however, they're just plain! There are over one hundred secret avatars right now, and more come every week. The Neopets team seems to be cranking out at least one new secret avatar every week and it's getting very old very quickly! Not only that, the ways to get them are all the same. Have a certain petpet equipped to your pet for a certain number of days, buy an item and do something with it such as refresh with it in your inventory or put it in your NeoDeck. Boring! Hunting for secret avatars is no challenge anymore. If you're having difficulty with any of them, you can simply post a message on the Avatars/Neosignatures Board and anyone there can tell you exactly how to get each and every secret avatar. How fun is that? Not at all! I remember the days when everyone had to fend for themselves and figure out what to do themselves. Mind you, some of the secret avatars are fairly easy to figure out, while others are nearly impossible, but honestly, how hard is it to do some experimenting with different items and pets and see what happens? Don't get me wrong, I love secret avatars and I love collecting them, but they are rather boring these days. So boring, in fact, that I use a default avatar when I post on the boards! The sad thing is that people still ask, "Hey carnapepper, where did you get that avatar?" even though everyone has it. People are so caught up in being the first to have a secret avatar that they haven't even looked through all of the great default ones! I'm pleased to report, however, that I've noticed more and more users using the lovely default avatars instead of all these fancy secret ones. If you're not busy right now, besides reading this article, I want you to go to Chat Preferences and change your avatar to a default one. Make the boards a default place! A lot of people may argue with me and say that they like secret avatars because they give them a chance to show off how rich they are or how awesome they are at a certain Neopets game. Come on! How kind is that? Not at all, that's right. If you show off your rare MSP Poogle avatar, not only will people subconsciously dislike you for being more fortunate than them, they will also harass you to no end, asking you how you got it and whether they can borrow items from you to get other avatars. That is no way to live your life! If you have a default avatar, no one can harass you at all, because they already have it no matter what. There, much easier! Others still will claim they like secret avatars because there are so many of them so there's a lot of choice. But look at the default ones. 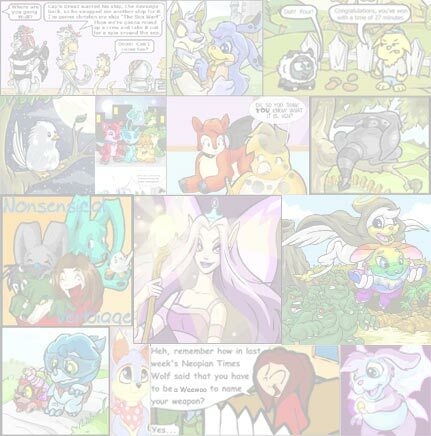 There are over fifty default avatars for you to choose from, featuring your favourite Neopet or faerie. Now that's what I call choice! There is another problem with there being loads of secret avatars: they cost a bundle! Every week when a new secret avatar is released, it usually requires you to buy some item. However, that item is always massively raised in price so you have to pay up to ten times what it was worth a few days ago! That burns a hole in your pocket pretty quickly, don't you think? 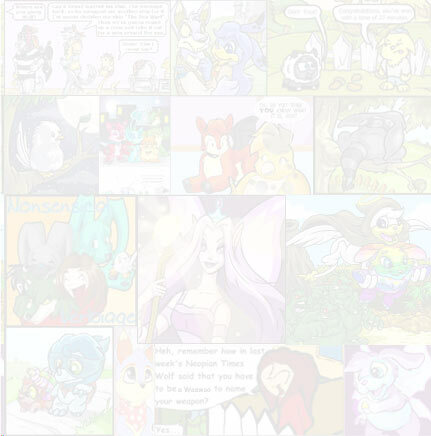 So instead of spending all your life's savings on a few secret avatars and going completely bankrupt, why not look through the default avatars, maybe choose the one that has a nice, big picture of your favourite Neopet, then make a matching font so it looks like you put some thought into it. There, lovely! I think a thoughtful default avatar can outdo a fancy schmancy secret one any day! Give it a try and see what you think! Author's Note: Everyone seems to have these author's notes nowadays so I thought I might add one for the fun of it. Wouldn't that be funny if an author's note was longer than the article itself? I'm kidding, of course! Anyway, back on track, go do as I suggested and change your avatar to a default one that you like. Really, it's a lot more rewarding than having a boring old secret avatar!